Deejay Sidez is no doubt one of the fastest rising Disc Jockey in the Nigerian Music Industry, tearing through in 2017. Sidez is the brain behind the song which took over the street and "through vip angles that where restricted and lips the blocks them". The song OSHOZONDI did not just danced around Nigeria but outside, with the 'troublesome' voice of SlimCase and Masta T(Apari Producer) who were featured, much has to be said about this tune. 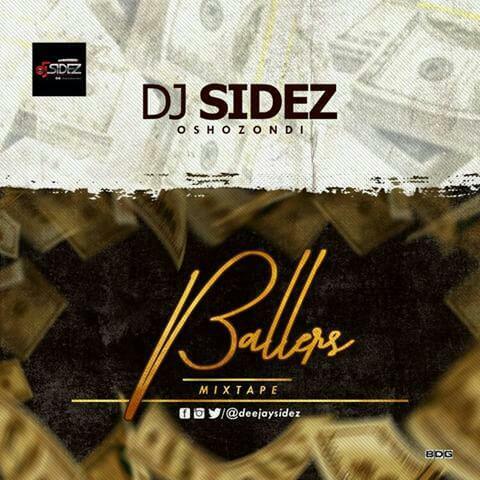 Now he says thank you for the support as he sets to drop another banging tune and to kick-off 2018 under the Dreamz Entertainment, he dishes out The Ballers Mixtape. The paylist says it all. Fingers like Nestle. Enjoy jare!